How can you, as an adult, potentially save your kids’ lives by having chiropractic care yourself? Seems like an odd question given it does not even involve your kids receiving chiropractic care! 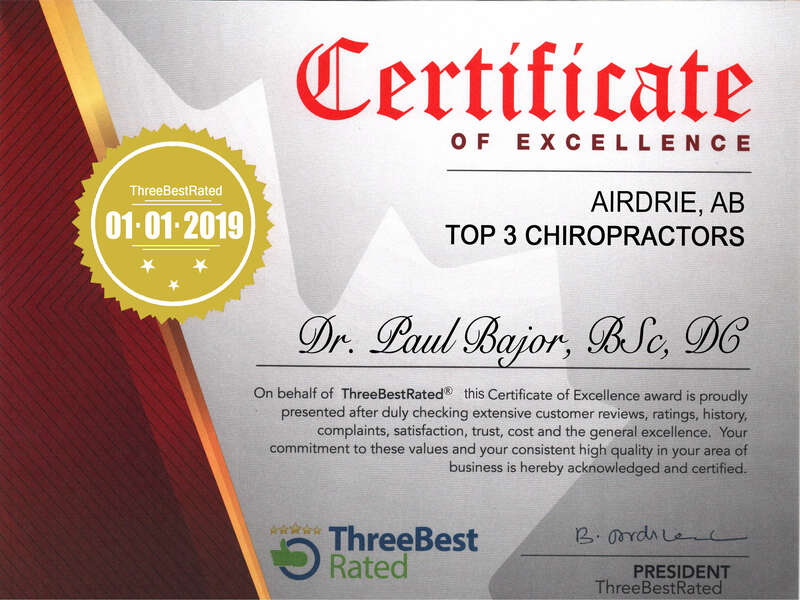 Please watch the video while Airdrie chiropractor Dr. Paul Bajor explains how this is possible! Hi, Dr. Paul Bajor here, I just came back from a run on this beautiful spring-like day after having winter for so long, and usually when I go for a run I come up with the best ideas and greatest brainstorming, so I wanted to quickly do this video blog before I ran out of enthusiasm for it! Just this past weekend we were at the Airdrie Home and Lifestyle Show and we had an opportunity to talk to a lot of people about the great benefits of chiropractic and pain relief and wellness, and it came to mind that there was one thing that a lot of us don’t think about when it comes down to chiropractic, and that is, how, by you as an adult, having chiropractic can save your kids. Well, what does that mean? I am sure you are all aware of the great opioid crisis that is out there, and addictions to painkillers, and if you have painkillers at home, medications, those are things that kids can get their hands on. You might say, “well, people get addicted to oxycotin and morphine and more serious pain medications like that, those are pretty minimal.” You would be surprised as to how many people come in as new patients and on their intake forms have those pain medications listed. There is a great commercial about a dad who is looking for his keys to his car and they’re missing, so goes out and sees that the car is gone; it’s missing because the kids have taken it; then he’s looking for his socks and can’t find them and discovers that his kids have taken them. He then has some back pain and goes to his medicine cabinet to grab some medication and notices that it’s not there because, of course, the kids have taken it. If we can keep these medications, pain medications especially, out of our kids’ hands, first by not even having them in our house, they’re going to be a lot better off in their lives. A lot of people concern themselves with heavier things like pot and other portals of entry to the heavy medications people get addicted to, but the portal of entry is within our house itself, ourselves. Hopefully by seeing this blog and thinking about it and realizing that by taking these pain medications, we’re putting our kids at risk for addiction, you may think twice if you haven’t had chiropractic before to come in and get your ailments taken care of. A lot of the problems people come in for and are taking these heavy medications for are easily tended to through chiropractic care. If you currently are a chiropractic patient, that’s great, if you’re not or if you know of someone who is not, then please pass this message on because it can make a greater impact than you may realize! Please feel free to visit our south clinic’s website at www.accesschiropractic.net and our north clinic’s website at www.accesschiropracticnorth.ca, and our Facebook page at www.facebook.com/accesswellness! You can also call to book with Dr. Bajor at the north location behind the Superstore at 403-945-1349 or contact the south location in the Airdrie CO-OP at 403-945-0855 to book with Dr. Jacqueline Boyd! Drs. Jacqueline Boyd and Paul Bajor are also both registered and active members of the ICPA (International Chiropractic Pediatric Association).